You can listen to the most common answers about document translation in Miami! Since 2007, we've been providing superior Russian translation and interpretation to individuals, organizations, and businesses in Miami, FL. Consistent excellence in reliable translations and customer satisfaction is deeply rooted in our DNA. This, bound with our expertise and focus on affordability leads to our goal of exceeding customer expectations. Miami and its suburbs is home to a large Russian-speaking population with a wide range of translation and interpretation needs. It is our mission to serve Miami with exclusively trained and experienced translators and interpreters, providing accurate, reliable and, when needed, certified translations for the people and companies of southeastern Florida. 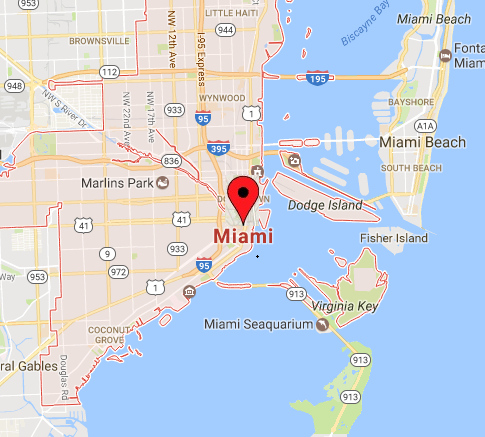 Miami has proved to be a major city in the global economy; that is why our language experts hail from a variety of professional and academic backgrounds, and bring an extraordinary level of knowledge, experience, and care to every job they undertake. Certified and notarized translations of vital and academic records that are accepted by Russian and Ukrainian embassies, American universities, credential evaluation agencies (such as WES, ECE, ECFMG, etc. ), nursing boards, and U.S. government departments and agencies, including USCIS field office located at 8801 NW 7th Ave, Miami, FL 33150. User guides, owner's manuals, patents, safety reports, engineering drawings and drafts, installation instructions, training materials, data sheets, technical brochures, and other technical documentations – we cover them all with extreme attention to detail and accuracy. Only the highest-quality and precise translation of medical and pharmaceutical texts, including medical publications, personal medical histories, clinical research trials, scientific medical literature, dissertations, procedural aids for doctors, and vaccination records. Russian Translation Pros lets you put your focus on your job rather than on guessing unknown terms. We praise ourselves for being passionate about matching languages with precision. We go beyond simple translation, we synchronize one language with the other so no cultural nuances are lost or mistakenly modified. We hold the gold standard in preserving the integrity of any translation we do, no matter if it's a financial paper, business proposal, official document, personal letter, or any other type of translation we serve our clients with. I used Russian Translation Pros for some important documents that needed to be done for my family member. The service was prompt, and professionally handled. The staff member Mr. Tim was very courteous, knowledgeable, and helped me in every way! He went far and beyond to make sure that I was taken care and made me feel like I was first on the list all the way. I will absolutely use them again for any other translation needs. Thank you for your time and service. Thank You again sooo much Mr Tim. Thank you for quick and efficient service! Will be recommending to anyone. Good luck! I used Russian Translation Pros to translate complicated legal documents from English to Russian and Ukrainian. Service was super fast and quality was wonderful. On top of that, the price was very reasonable. Overall an excellent experience!